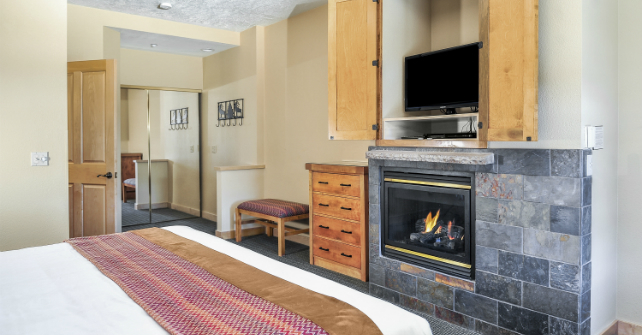 Everything you need to Stay Vacationed.™ in Brian Head is right at your fingertips in our 450-square-foot, One-Bedroom Grand Villa. 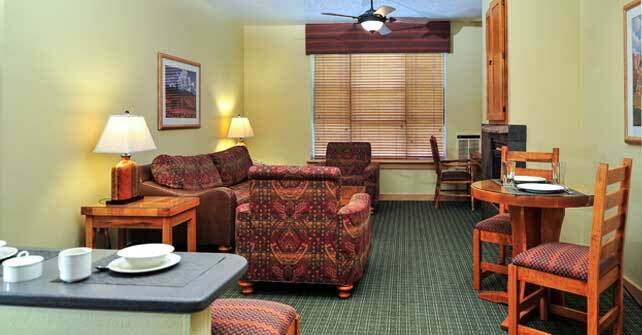 Cozy, yet spacious, the whole family can enjoy a relaxing getaway in the comfort of your own home away from home in Brian Head, Utah. 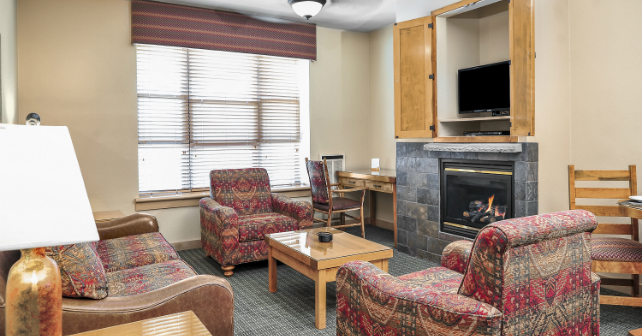 Our well-appointed living area is ideal for spending evenings together while watching a movie or snuggling by the fireplace. After an exciting day experiencing all that this mountain town has to offer, retreat to the privacy of your bedroom featuring a full bath where you can unwind with a hot soak in your jetted tub. Gather around the table and enjoy the laughter and joy of family meals together. 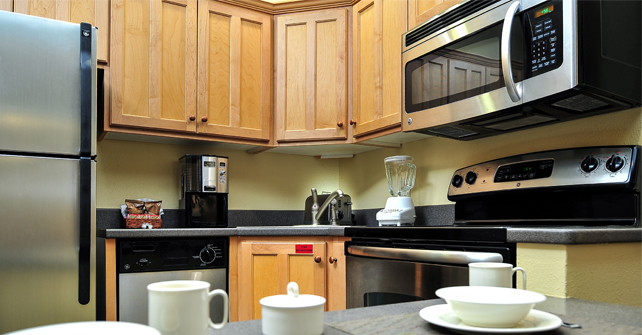 Your full kitchen makes food prep simple with everything you need including a refrigerator, sink, microwave, full-size range with oven and a coffee maker.